"Inflation is a man-made scourge, made possible by the fact that most men do not understand it. It is a crime committed on so large a scale that its size is its protection: the integrating capacity of the victims’ minds breaks down before the magnitude—and the seeming complexity—of the crime, which permits it to be committed openly, in public. For centuries, inflation has been wrecking one country after another, yet men learn nothing, offer no resistance, and perish—not like animals driven to slaughter, but worse: like animals stampeding in search of a butcher. "If I told you that the precondition of inflation is psycho-epistemological—that inflation is hidden under the perceptual illusions created by broken conceptual links—you would not understand me. That is what I propose to explain and to prove." In Ayn Rand's Egalitarianism and Inflation she demonstrates the consequences of the introduction of paper money into a thriving agrarian gold-based economy. And she shows how the resulting inflation actually destroys the real-world capital that had previously been accumulated by shifting society's focus from production to consumption. "Now project what would happen to your community of a hundred hard-working, prosperous, forward-moving people, if one man were allowed to trade on your market, not by means of gold, but by means of paper—i.e., if he paid you, not with a material commodity, not with goods he had actually produced, but merely with a promissory note on his future production. This man takes your goods, but does not use them to support his own production; he does not produce at all—he merely consumes the goods. Then, he pays you higher prices for more goods—again in promissory notes—assuring you that he is your best customer, who expands your market. "Then, one day, a struggling young farmer, who suffered from a bad flood, wants to buy some grain from you, but your price has risen and you haven’t much grain to spare, so he goes bankrupt. Then, the dairy farmer, to whom he owed money, raises the price of milk to make up for the loss—and the truck farmer, who needs the milk, gives up buying the eggs he had always bought—and the poultry farmer kills some of his chickens, which he can’t afford to feed—and the dairy farmer can’t afford the higher price of alfalfa, so he cancels his order to the blacksmith—and you want to buy the new plow you have been saving for, but the blacksmith has gone bankrupt. Then all of you present the promissory notes to your “best customer,” and you discover that they were promissory notes not on his future production, but on yours—only you have nothing left to produce with. Your land is there, your structures are there, but there is no food to sustain you through the coming winter, and no stock seed to plant. "Would it make any difference if that community consisted of a thousand farmers? A hundred thousand? A million? The entire globe? No matter how widely you spread the blight, no matter what a variety of products and what an incalculable complexity of deals become involved, this, dear readers, is the cause, the pattern, and the outcome of inflation." Indeed, this is a big problem. Wouldn't you agree? Perhaps she is right, we must return to gold money if we hope to save the Western world from its ultimate destruction. Maybe this is the only way. But what if returning to an economy based only on gold and silver coins in your pocket is a complete pipe dream? What if this will never happen? Is there no hope for our future? Let's just try a little Thought experiment. Imagine Rand's community as described above. And imagine that one entrepreneurial spirit in that community started a gold coin dealership sometime after "best customer" showed up with his paper promissory notes. Now, since we are dealing on a much smaller size scale, we will speed up our time dimension as well. So in our imagined community let us say that confidence in "best customer's" notes disappears the second time he shows up with freshly printed paper. People still accept them in trade for goods, but they don't trust them enough to hang onto them for any length of time. They would rather exchange them for gold, the old currency used before. So now all of a sudden our gold coin dealer's business takes off. Those market participants who are barely producing enough goods to sustain their daily existence will be spending the notes they receive on other goods right away. But eventually those notes will find their way to a super-producer, someone who is able to save some of his efforts for the future. And he will walk those notes over to our gold dealer. Over the course of a few days all paper notes in circulation will flow to the gold dealer, and pretty soon his supply of gold coins will run low. He may try to give the notes back to "best customer" in exchange for some more gold for his business only to find that "best customer" has no gold, only more paper notes. So our gold dealer's first response will be to raise the price of his remaining gold coins. And then, since gold coins are his stock in trade, he will have to venture out into the marketplace to replenish his inventory. He will have to bid gold out of the hands of the agrarian workers with more and more paper notes. And then he will have to sell those gold coins for even more than he bid for them. Very quickly this will raise the price of gold coins when priced in "best customer's" paper notes. And agrarian traders coming to exchange their paper for gold will realize that the cost of gold is rising. And then they will have to charge more for their goods when paid with paper. The end result of this little thought experiment is that on any given day the price of goods in paper notes will seem stable to the naked eye, but over time "best customer's" inflation will be absorbed into the price of gold and will not affect the savers or destroy their capital accumulation because they saved only gold. "Best customer" will eventually have to bring wheelbarrows full of his notes just to buy one apple. This development will expose his scam to even the most retarded villagers, and he will ultimately lose his reputation as "best customer". The moral of this little story is that there actually is hope because gold can absorb most if not all of the pain inflicted by inflation if it is allowed to do its job as a wealth reserve. It is all about how long you hang on to the paper. The longer you hold it the more you transfer the value of your own labor into the hands of "best customer". In Gold is Money - Part 3 I explained that the evolution of money is taking us to a place where these functions will be fulfilled by different mediums. 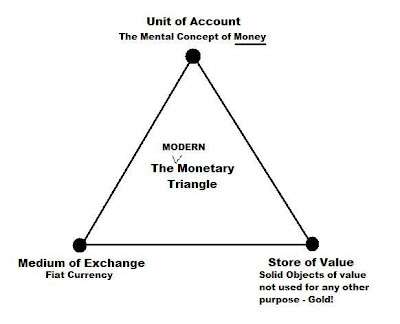 The transactional or medium of exchange function will still be fiat currency, the very same that we know today. And the store of value will be physical gold, the store of value par excellence for the last 5,000 years or so. The unit of account for bookkeeping purposes will probably be split between the two depending on the time scale preference of the accountant. You see, the ability to print transactional currency is a privilege that can be legislated. But having people choose to hold your currency for any length of time is an additional privilege that must be merited and earned. And forcing people to hold your inflating currency longer than necessary for trade, because there is no viable alternative, is an exorbitant privilege. 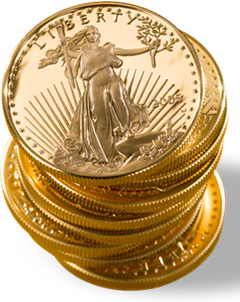 Gold can and will remove the exorbitant privilege from our monetary system when it is allowed to do its job as a wealth reserve. How do I know this is coming? Because today the exorbitant privilege is almost completely claimed by the US Federal Government, and is paid for by the labor of the rest of the world. The USG is today's "best customer". And the ability of the USG to eliminate the viable alternative of gold as a functioning store of value depends entirely on the continued acceptance of the dollar as the global reserve currency. Both this acceptance AND the control over gold's price have been waning lately. And today, it is only a matter of time until they are both gone forever. Also, and this is very important, the rest of the world outside of the "exorbitant privilege club" that I like to call the $IMFS (dollar international monetary and financial system) has been preparing to support gold as THE store of value should the dollar fail. Sure there is a lot of talk about SDR's, new "monetary funds" and other forms of "new fiat", but all you have to do is look at the concrete preparations that have already been made if you want to see how things will actually play out. Europe views its privilege and its debt differently than the US. The US will never give up its mountain of unfunded liabilities until it has printed its dollar into oblivion. Europe is different. The Eurozone members gave up their right to print to oblivion by joining the euro. And the euro only has one single mandate: low inflation! Now we can argue until the cows come home whether or not ANYONE should have the privilege to print currency. The winner of that argument is probably no, that no one should. But the flaw in the argument under today's dangerous conditions is that people get caught up in what SHOULD happen and lose sight of what WILL actually happen. Fiat currency, for all its flaws, has provided the flexibility and computer-age transaction ease and record-keeping that is valued by not only those few ego-maniacs that believe they can control everything, but also by business and productive enterprise. So it is not going away no matter how good the argument. But the worst of its flaws can, and will, be neutralized. And this is where (what I like to call) Freegold makes its debut. Here is an important question: Is it theoretically possible for a fiat currency to devalue, or more precisely, to hyper-depreciate against only one single asset without affecting the price of a can of peas? Of course it is! Just look at any number of investments that have appreciated quickly by an order of magnitude or two. Look at GOOG! Or how about AAPL? When an asset appreciates against a currency can we not also view it as the currency depreciating against that one asset? Or more precisely, can we not say that the asset was awaiting massive revaluation based on market recognition of its value? Now, what if the revalued asset is gold, a monetary asset held by Central Banks? What could such a revaluation do to today's dynamics of national debt? In many posts I have highlighted two important differences between the ECB and the US Federal Reserve. The first is the separation of currency creation from the control of a single sovereign government, or the elimination of "exorbitant privilege". And the second is the demonetization of gold making it a supporting reserve asset instead of a competing currency. The Fed views gold as a competing currency, which was clearly shown in Adrian Douglas' recent revelation titled: More Fed minutes document gold market manipulation (a must-read for anyone who is still reading my post). "The euro, probably more than any other currency, represents the mutual confidence at the heart of our community. It is the first currency that has not only severed its link to gold, but also its link to the nation-state. It is not backed by the durability of the metal or by the authority of the state. Indeed, what Sir Thomas More said of gold five hundred years ago – that it was made for men and that it had its value by them – applies very well to the euro." Le Point: Could a scenario be envisaged in which a country is no longer able to meet its obligations and leaves the euro area? Jean-Claude Trichet: I have always said that I will not comment on absurd hypotheses. Joining the euro area is a major decision. It is not a membership that can be adapted to suit the circumstances. It is about sharing a common destiny with other countries. For more on this please see my excerpt from Eric King's excellent interview with Jim Rickards transcribed in Greece is the Word. And now let's take a look at a few more differences between the ECB and the Fed. I am not passing moral judgement on either institution, only practical judgement on their policies, foundational architecture and underlying monetary theory. First we should start with their most basic motivation, their mandates. The Fed has two conflicting mandates legislated by Congress. The ECB only has one. The Fed's two mandates are price stability and full employment. The ECB's only mandate is price stability. A third, unofficial and unspoken mandate of the Fed is to guarantee the funding of the US Treasury to pay for its ever-growing deficit, but we'll leave that one alone for the moment. Price stability is a monetary mandate requiring a strong, stable currency. Full employment is an economic mandate, and a poor one at that. According to the Fed's prevailing economic theory this mandate requires a weak currency. These are conflicting mandates, leaving the Fed to walk the proverbial tightrope. But as it turns out, the ECB's one mandate is the one that is good for the savers and the capital accumulators. Which surprisingly enough is what will ultimately make for a strong economy. 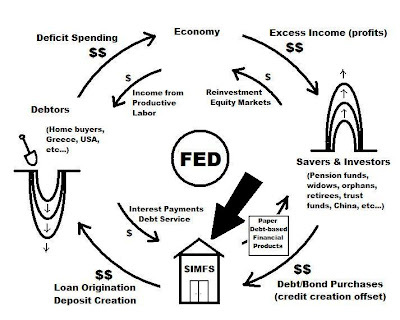 Mandating your money printer to create a strong economy through "full employment" is akin to taking anabolic steroids for a healthy, long life. Whereas focusing solely on keeping inflation under 2% builds the kind of confidence that draws in capital investment and ultimately creates a healthier economy, socialist politicians and taxes notwithstanding. 1. ECB severed the monetary link to gold. FED keeps gold a $42 prisoner. 2. ECB is independent of the state. FED is lapdog of the state. 3. ECB eliminated "exorbitant privilege". FED delivers "exorbitant privilege" on a regular basis. 4. ECB has one clear mandate. FED has two conflicting mandates. 5. ECB supports orthodox solutions to states in crisis. FED supports unorthodox (QE) solutions. 6. ECB is more democratic through its multi-polar membership. FED is more plutocratic. 7. ECB is more transparent with predictable policies. FED is opaque with unilateral surprises. 8. ECB is defensive in its protection of euro stability. FED is offensive against competition through collusion with its primary banks. 9. ECB allows healthy competition with its currency through the MTM freegold concept. FED stifles competition to hide its weaknesses. 10. ECB gives gold its own accounting line. FED obfuscates, lining Gold/SDR together. 11. ECB zone encourages gold sales to public with 0% sales tax. FED zone discourages gold sales. 12. ECB architecture is inspiring changes in other CBs and monetary unions. FED is not so inspiring. "In the very same mindset that people buy the best value for the lowest price (Japanese cars in the late 70s), and leave an established producer to die, so will they escape the American currency and accept any competitor that offers a better deal." The euro architects were not trying to force a reserve currency on the world. There is a big difference between creating a government product with sovereign-monopoly backing that everyone must use, and creating a product that the marketplace must freely choose. In this case, the marketplace consisted of sovereign nations that chose to give up the privilege of printing their own money in order to join in the benefits of the euro. So what are those benefits? "The advent of the euro has demonstrated to one and all how successful a well-planned fixed exchange rate zone can be. After the 11 currencies of the zone were locked to the euro and to each other, even before the euro has been issued as a paper currency or a coin, speculative capital movements between the lira and the mark, the franc and the peseta, and all the other currencies became a thing of the past. It ended uncertainty over exchange rates and destabilizing capital movements. The 11 countries of the euro zone are now getting a better monetary policy than they ever had before. The creation of the euro zone therefore suggests a viable approach to the formation of other currency areas when prospective members can agree on a common inflation rate and a coordinated monetary policy." Each country is getting a better monetary policy. And this highlights one of the lessons the euro architects learned after 47 years of living under the Bretton Woods accord and the $IMFS. The euro does not do monetary financing of sovereign budgets. According to the Maastricht Treaty there can be no monetary financing of public entities. And it is the job of the ECB to protect the integrity of the currency only (low inflation), not the profligate ruling party of any member state. "My own view about the politics of the euro is that it will provide a catalyst for increased political integration in Europe, which, after two centuries of a Franco-German rivalry that has periodically engulfed the entire world, is highly desirable." "I also believe that every country in the euro area is now getting a better money than they had before. First of all, the size of the euro area is vastly larger than the size of any of the national currency areas, and that affords to each country a better insulation against shocks. The gains in this respect vary in inverse proportion to the size of the country. The currencies of small countries can get blown out of the water by speculative attacks. Germany may gain less proportionately than the smaller countries, but the Germans now have, or will have when the transition is complete, a currency that is three times larger than the mark area alone. ...Apart from the United States, most if not all countries would benefit from being part of a larger currency area, for reasons of economies of scale, cushioning against shocks, and a better monetary policy. Most of the 175-odd currencies in the world should be classified as “junk” currencies, sources of instability rather than anchors of stability." Better money! Yes, bigger is sometimes better. This is not to argue for a one world currency, but in some cases regional currencies can be better than the sum of their parts. Here is a list of the problems faced by more than 45 smaller currencies with reckless leaders and bad monetary policy. Of course size does not guarantee stability, as we will soon find out. Monetary policy, CB independence and systemic architecture are also important factors. "Exchange rate changes can never be a substitute for the vast number of changes in individual prices that have to be made in an efficient market. But the possibility of exchange rate changes has nevertheless deflected the attention of policy makers from the vastly more important subject of flexibility in all individual markets. I believe that flexibility of individual prices will be fostered by the euro area..."
Think about this one in light of the ECB's transparent quarterly Mark to Market price policy for its gold reserves versus the US need to secretly control market prices through the opaque Fed, the secretive Exchange Stabilization Fund and the ghostly Working Group on Financial Markets. "[A] country is better off with a national monetary policy [only] if the monetary policy is likely to be better than that in the rest of the world, as it could be if the rest of the world is unstable. Short of a monetary union with the euro and yen areas, the United States has no real alternative to inflation targeting and a flexible exchange rate." Jean-Claude Trichet: Like everyone else who shares the single currency, the Greek economy has – from the moment it joined the euro area – enjoyed a number of significant advantages in monetary terms. Being part of the euro area has strengthened the Greek economy. Thanks to the euro, it was no longer subject to exchange rate risk, it has access to an integrated economy comprising 330 million European citizens, and it has benefited from having a currency which inspires confidence and has therefore afforded Greece low medium and long-term market interest rates. Its external current account deficit has been financed by the very fact of belonging to the euro area. Of course, in exchange for these significant advantages, the rules of the Stability and Growth Pact must be fully respected. Le Point: All the same, we have just found out that Greece cheated. It hid shameful secrets about its financial situation from its partners. How can we stop this happening again? Jean-Claude Trichet: This situation is totally unacceptable. And it’s a major problem because all of the countries in the euro area are suffering as a result of this misconduct. Now I would like to point out a key distinction here. In the first paragraph Trichet nicely sums up the benefits the euro has provided to Greece. But then comes the question of unsustainable Greek debt and even "cheating". Well, where did that come from? It came from the $IMFS! Europe is now living under a new currency, but it is still functioning under the dollar's global financial system that encourages infinite debt accumulation, infinite growth of imbalances, and financial trickery to pretend the system is stable and extend its timeline. All the benefits and architectural innovations of the ECB stand in place now as a kind of safety net for the Eurozone for whenever the $IMFS collapses under its own weight. And the signs of this happening sometime soon are ominous and many. It is easy and convenient for the financial press to blame the Eurozone problems on the euro itself. But I am here to show you that they are actually caused by the dollar system, counterintuitive as that may seem. "[T]o what extent [does] financial innovation serve the real economy and to what extent [does] it only serves itself? At some point in our recent past, finance lost contact with its raison d'être. It ceased to be a source of services for the real economy and developed a life of its own. Finance became self-referential." As every good bookie knows, whenever you can get groups of people on opposite sides, the real money is made in the middle. And the more people you can get in on the action, the bigger the profits and the biggest profits of all go to the middleman. This is Wall Street. This is the $IMFS in a nutshell. Everyone is one of these two camps, the Debtors or the Savers. Even every entity when netted out falls into one of the camps. So if there are serious problems happening within the $IMFS it stands to reason that they could be viewed from slightly different perspectives depending on which camp you're in. Now I'm sure I don't need to list out all of the problems within the $IMFS today. Most of you have spent the better part of the past 18 months reading endless opinions on this subject. So I am going to focus briefly on one small problem as viewed from each side. Jim: Here is the top of the heap of strange goings on in finance. How many of your mortgages have been securitized multiple times? What if your servicer folded? The real owner of the mortgage might just knock on your door demanding payment. It has been held now by many recent court cases that only the party which made the loan has the right to foreclose. How would you like to find out that even though you have paid your mortgage, the real party of interest says screw you, pay again or it’s foreclosure time! Please, those of you with mortgages on your homes track down the real owner of your paper, and fast. Marie: ...this is only the tip of the iceberg… not just for Lehman, but for the vast majority of Wall Street Investment Banks that securitized mortgage loans over the last decade. I believe that Lehman-like balance sheet accounting fraud is inherent within the nature of the securitization process; that “true sales” never took place and the transfer of assets to and from the participants in the securitization paradigm were book-entry financing deals; that consideration was never paid by the participants; that the funding came from outside sources; that the complexity of the structure was designed to cloak money laundering; that the trusts never achieved their tax free REMIC status; and that loans were purposely designed to fail so that the participants in the securitization could control both the cash flow and the real estate assets arising from these mortgage transactions when the bubble inevitably burst. If I am correct, this would have serious implications for consumers whose loans were securitized because the participants in the securitization would be unable to prove that they legally conveyed the loans into the trust fund. Essentially, U.S. Bank and Wells Fargo had this opportunity in the Massachusetts Land Court cases last year and they could not produce the evidence of ownership. They produced the Notes, but not the proof of how they purchased the loans from the originators. The evidence also showed conclusively that the mortgages were never assigned from party to party according to the Pooling and Servicing Agreement and into the trusts. This, in large part, is why Judge Long overturned two out of three foreclosures. Much of the fraud is buried in the opaque OTC derivatives trading. I know I am preaching to the choir on this topic! This is clearly a huge problem for the $IMFS. And as you can see from the above, Jim and Marie are addressing their warning to the debtors, those who borrowed money to buy a home. But this same problem has another perspective, that of the savers. What do you hold in your 401K? What is your pension holding on your behalf? Do you own any "assets" that may have no legal claim to anything if examined in a court? I recently initiated Identity Theft coverage and in the course of that work, I was asked to review my credit report. I discovered that my refinanced mortgage, paid in full in July 2005, has been retained as current and OPEN with a last payment of July 2005. The account is listed on the credit report as current, not paid and closed as were other previously listed mortgages. That mortgage was paid in full and closed (at least I thought it was closed) when I rolled into a new mortgage (refinance) in July 2005. All was done with the same financial institution (which closed and became Chase). The punch line is that the paid and supposedly closed mortgage is owned by TA DA: Fannie Mae. How many billions are being carried on the books that DO NOT EVEN EXIST? The plot thickens, the whole episode sickens. And how many billions are in pension funds, trusts and 401K's that DO NOT EVEN EXIST? Okay, I think (hope?) we all get the point. The pressure on the $IMFS is building EVERYWHERE! From Greece to California, from the ECB to DC. And what exactly is all this pressure? It is unsustainable deficit spending... DEBT! U.S. government's top economic policy makers acknowledged Tuesday that the country's fiscal policy is unsustainable. And what is the ONLY solution to this? What is the pressure release valve? It is different depending on whether you are a sovereign net creditor/saver or if you are a sovereign debtor. For the creditor/savers the ONLY solution is CUT OFF THE CREDIT and thereby FORCE AUSTERITY. If you are a debtor, the ONLY solution is DEVALUE THE CURRENCY, or more precisely, ALLOW the currency to hyper-depreciate. Yes, default is an option, but not for a sovereign that prints its own money, and not for any too-big-to-fail entities under the umbrella of such a sovereign. Greece is under the euro umbrella and California is under the US umbrella. Germany is a creditor/saver, and also under the euro umbrella. China is a creditor/saver not under either umbrella. The US dollar MUST devalue (one way or another) against the entire physical world. Think about this. The euro, on the other hand, might just hyper-depreciate against only one specific asset. An asset that happens to also be a MONETARY asset held by its member debtors. As I said in Call Me Contrarian... "Do I think this magnitude of a reset could happen overnight? Yes, I do. Why? Because that is the way you get the most "bang for your buck". Surprise is the order of the day! "Devaluations always happen by complete surprise as to exert maximum leverage effect." My point here and in Call Me Contrarian is not to predict timing or to announce that something is imminent. It is simply to say that when it does happen, it will happen lightning fast. Devaluations always happen by necessity. They can be triggered either intentionally internally, intentionally externally or unintentionally naturally. They happen because they are ultimately necessary to both parties and to nature itself. But the party that feels the pressure most, enough to trigger the devaluation first tends to profit the most from it. To us mere observers, all we can do is to be 100% prepared every day until it happens, whether it takes one day or 12 years to arrive. And part of the point is that being 100% prepared has its own spoils, even if it takes years. But when it does happens, it will happen too fast to prepare any more. I think a lot of people erroneously believe that because nothing catastrophic has happened in the past 18 months that all changes will come at us in slow motion. I think this is a dangerous belief to hold, especially if you act on it. "All warfare is based on deception. Hence, when able to attack, we must seem unable; when using our forces, we must seem inactive; when we are near, we must make the enemy believe we are far away; when far away, we must make him believe we are near. Hold out baits to entice the enemy. Feign disorder, and crush him." Things are not always as they seem. Let us now take a look at a couple goings-on in Europe that may seem on the surface to be $IMFS-positive, but may actually be the opposite once you scratch the surface. Yes, Portugal is selling "buck bonds" through GS, seemingly invalidating the previous ban of GS from selling Eurobonds. And yes, selling bonds in a currency you cannot print or control is dangerous, especially for a profligate government. But Portugal cannot print euros either. Portugal gave up the right to print currency when it joined the euro. So are these buck bonds really more dangerous for Portugal than eurobonds would be? And the essence of this trade is short-selling the dollar and going long the euro. Portugal is borrowing dollars, selling them short, and then buying euros (which are what it actually needs). In the process it is shoring up its own short-term financial problems at the expense of the dollar (shorting the buck) in an attempt to delay becoming the next Greece (perhaps buying time until the revaluation of its 382 tonnes of gold reserves), and possibly setting itself up to reap a big (Jubilee) windfall when the dollar collapses and the euro doesn't. One could wonder, did Portugal have the ECB's blessing to do this special "deal with the devil", er, I mean Goldman Sachs? After all, Goldman recently told its clients to go long the euro. On February 18, 2010, in a guest article published by The Economist, Daniel Gros of the Centre for European Policy Studies and Thomas Mayer of Deutsche Bank proposed the creation of a European Monetary Fund. On March 9 this idea gained attention when the German magazine FOCUS ran a piece that said, "German finance minister to present fund proposals soon. The European Commission has said it supports creating a European Monetary Fund (EMF) to help eurozone countries facing balance-of-payments difficulties." On March 12 Triche, in an interview from Stanford, California, "in response to a question on a proposed European monetary fund, said a proposal forwarded by German academics deserves an examination although he was non-committal in his support." On March 14 Germany's Bundesbank said it "would oppose any government initiative to use its gold reserves as backing for a European Monetary Fund (EMF), a spokeswoman said." Remember the "nuclear option" discussed in Greece is the Word? As far as practical applications go, one could be forgiven for wondering if an EMF could be more of an EMP in practice. Here are a few nagging questions I have about this EMF thingy. Why discuss an EMF when the IMF is so eager to help? How would an EMF be different from the IMF? How would it NEED to be different from a practical standpoint? How could such a "gold-backed" EMF scheme work without revaluing gold to Freegold prices? And could the end result of such an EMF project actually be the balanced meritocracy of Freegold at the sovereign level that we are watching for? So, is the idea of an EMF a flattering copy of the $IMFS' IMF, or a nuclear $EMP? "Go back and read the most recent speeches and comments by the ECB president, Mr. Duisenberg. Truly, the ECB is not interested in "crashing" the system, rather let's "transition" the system into a more fair order. If intervention is needed, it's needed to keep the American economy from failing too fast from the coming hyperinflation of its currency. If the ECB is worried about the "exchange rate" being too far out of whack, it is a worry about its effect in generating a dollar-system meltdown from deficit trade. Not a total failure of the Euro as so many report. When the time comes, and it will, the dollar will begin its fall away from its own past policy failure. Until that time, for the benefit of oil producers and many others, let's move as far down this Euro / gold trail as possible. Without a breakdown. The hyperinflation of the dollar is already a done deal. It has been since the 90's at least. Massive quantities of perceived dollars already exist stored in debt held globally and inside the US. Europe knows this. They have known this was inevitable since at least the mid-90's when they changed plans and went with higher gold reserves for the new ECB. They have always been willing to wait for it to happen naturally, unless the EU itself faces an existential threat from debt brought on by the $IMFS. And in this case, I believe their only option is a targeted hyper-depreciation of the euro. By "targeted", I mean that the euro devaluation would be targeted to go only into gold. Gold can absorb a devaluation if you do it carefully, and in turn devalue the debt without causing inflationary havoc. Of course this would cause the hyper-depreciation of the dollar as well. Only the dollar's collapse would be against all of creation, not just one asset. This is the risk that we all face today. The dollar is like a spring snow-pack high on the mountain that is still fighting gravity. It wouldn't take much more than a shout to bring it down. But then again, what have I said time and again? The dollar's specific value does not even matter in the context of its primary function. It only matters to those holding its debt as the store of their life's efforts. What happens if the Euro project fails? The last small gold war ended in the early 1980s, as the choice was to use the US$ or go to a gold based economy. No other reserve currency existed, and gold lost the war as all continued to buy dollar reserves. But by 1980, Europe was working with the BIS to implement a new "reserve currency". The European plan was to support the $IMFS at least until a new fiat "reserve" currency could be established, one large enough to absorb the shock of a failing reserve currency, to avoid being forced back 100 years into a physical gold-based economy which would have been very traumatic. This effort took 20 years from 1980. Did the Euro have some challenges along the way? Yes indeed. The urgent drive to create a new "reserve currency" began in the early 80s, after the last small "gold war". The road to making this new Euro did never include gold in large amounts, until the last few years! Even one year ago, the news would say, 5% or less. Today, we speak of a much greater amount! This is interesting, yes? The BIS did "hatch" this deal in a very late fashion! The future of the Euro was found to be "weak", as the Middle East oil imports onto the continent would continue in dollars! This was so, from the dollar being made strong in gold. Gold priced in dollars at near production cost offered a "no switch currency" position, for oil. This position has been unstable for the last year, and the alternative of a switch to gold was in progress! You have read my "Thoughts" before. Now the BIS does offer to "change the rules of engagement", a real reserve currency is offered! Few do grasp what is happening and why! They think the holding of gold reserves by the Euro is of a little point, as to what good are gold reserves? One cannot use gold as Marks or Yen to intervene in currency market to support the Euro. My friend, the BIS has played the, as you say, "big poker hand"! The holding of large reserves by the ECB and the withholding of sales from the market will not only bring the end of the London paper gold market, it will, thru a high USD gold price, "make the dollar weak in gold"! From this position, the dollar will lose the "oil backing" from the Middle East! At first, all oil for Europe will be in Euro's, then all producers want "strong currency"! There is more: Many say, how to defend Euro without much currency reserves? If gold go to many thousands US, what will be used to bid for Euro as defense? I say, these persons will find a problem on their computer screens! You see, the Euro will start as "nothing", no holdings of size, anywhere! The dollar is held as reserves as "the stars in heaven"! It is to say, "the dollar will bid for the Euro", not "the Euro will bid for the dollar"! All currencies will "flow into the Euro for trade". But, if the Euro becomes so strong, how to compete in world trade? It will be the price of oil that will make the "trading field" level! The soaring US$ price of gold will make even a 10% Euro reserve be as 100% today, in USD! Oil will become, very, very cheap in Euros and allow that economy to do well! Many other countries will see this and also want to join the new "world reserve currency" that has become"the new world oil currency"! The politics of the ECB? It is as a "side show". We watch this new market, yes? "Your question of Euro gold backing? The Euro will not be backed or fixed in gold. It will, as Michael Kosares (USAGOLD) notes, be the first "modern currency" to hold true "exchange reserves" in gold. It is important to understand that "exchange reserves" of gold are much more powerful a tool for currency defense than gold backing! In this system, gold must be traded in a "public physical market", in that currency, Euros! As such, the Euro can "devalue gold" (Euro price of gold falls) thereby making it strong in gold! In today's world, this will happen as a "strong Euro physical market" displaces and defaults "the old dollar settlement paper gold market"! The dollar will become"weak in gold"!" The yuan will not be the next global reserve currency because it has not only NOT severed its link to the state, it is actually printed by Communists. Those who are predicting this are still viewing the world through $IMFS goggles that see the yuan currently undervalued. They think in dollar terms and conclude that whenever China finally agrees to let the yuan trade on foreign currency exchanges, they would like to buy it! Being undervalued (against other fiats only) they see the opportunity to make fiat profits when it rises. They view it as a "store of value par excellence" compared to other fiats. Freegold is our destination with or without the euro. Even on the outside chance that an SDR or a similar super-sovereign currency is accepted as the new global reserve currency, it would have to contain gold at Freegold valuations in order to be viable, accepted and trusted, in the same vein as Randy's comment about an EMF. So any way you cut it, the future comes to us with really high value gold by today's standards. Be sure to get your share while we are still living on Fantasy Island. Disclosure: No euros held, now or ever. No euro-denominated positions, now or ever. No particular love for the euro, only for fair trade, truth and transparency. Only traveled to Europe once, for two weeks. Thanks for another illuminating post. What does EMP stand for? I've only just read the first few paragraphs and already I can tell that it is BRILLIANT. Thanks for this FOFOA. You are doing great work here. I would say the most significant issue Europe faces is trade. Trade imbalances naturally lead to account surpluses/deficits, which lead governments with current account deficits to deficit spend in order to maintain gdp. At the onset of the Euro, the Franco-German-Benelux countries kept rates unreasonably low in order to maintain a competitive productive edge over the southern European bloc. Thus, the southern economies lost productivity, then experienced a higher trade deficit, which spurred BOTH government deficit spending and the misallocation of capital (bubbles). How can Europe address these issues when monetary policy is set by the Northern countries, particulary, Germany - to its benefit? These imbalances are the greatest threat the EURO faces, IMHO. As I was reading about the $IMFS and the EMF, I was reminded of the Naval Arms Race of 1906-1913. Perhaps it was because last night I was watching the German ARTE station where they covered the sinking of the Dresden and also some German sailors that made it across Saudi Arabia to Turkey in WWI. Both shows portrayed the German soldiers and sailors as victims of Anglo aggression. Anyway, one of Kaiser Bill's justifications for the naval build up and for fighting WWI was to end the British/American banking and mercantile hegemony. Many Germans actually thought that they were doing the world a favor in heralding in a new era of free trade not dominated by the Anglo/US Banking cartel ($IMFS). It is probably no coincidence that the Fed and the income tax were instated in 1913, one year before the war. I would not be surprised if there was a massive world wide backlash to all these decades of Anglo/US dominance should the dollar and the pound finally bite the dust. My biggest fear is that in their attempt to maintain power as long as possible, the TPTB might delay the [eventually inevitable] Freegold for so long that by the time it comes the world economy may have already imploded beyond the point of no return setting us back by decades if not centuries. I think that by just letting things play out by themselves and not doing anything proactively [if that is the case i.e. ], the Europeans (as well as the rest of the world) are playing a VERY dangerous game. Perhaps they are too scared to upset the status quo, but their inaction is costing each and every person on this planet dearly. But then again, if the rest of the world does nothing, they rightfully deserve what's coming their way and then some. That's just how nature works. i know you have said before on your posts its very hard to say how much percentage of one's wealth should be in gold in their portfolio, but wondering if you can just give a quick idea for perhaps new comers onto this board and myself. perhaps a few different scenarios. i know we can really come up with a million scenarios but just trying to get an idea of your thinking. 3. age 25 - with 100k USD$ in savings, good wage $80k year, no debt/mortgage for at least 5 years. 4. age 30 - married, anual household income 125k USD, 250k morgage and 50k USD in savings. GG, I think the rest of the world realizes that the US was until quite recently the worlds only hyper-power. The corollary is that wounded tigers are very dangerous, so no one wants to be perceived as being the country that popped the dollar bubble. You are right about the stupidity of TPTB, it is very reminiscent of Weimar where they kept printing and squandering their gold reserves long past when they could have salvaged the mess without anywhere near as much upheaval. I fear that even with my gold tucked away in more that one safe place that the likelihood of ever being able to use it after the collapse is less that the likelihood that this entire ponzi-scheme is going to come crashing down around us. Sharp observation; it was facilitated by the $IMFS indeed. GG - Whether or not the rest of the world opts to do anything, the signs of fraying are becoming more obvious by the day. Whether it is the Chinese subs venturing into the blue water, Japan taking a more aggressive position via Okinawa (one has to question the Toyota nexus) or even the most recent veiled comments by Trichet re the profilgate, there is no doubt that far from certifying hyperpower, the Iraq and Afhgan operations have been arguably a disservice in much the same way Afghan has been so many time s in the past (outside of establishing a beachhead around the Iranian flanks and on the fringe of China). Repackaging counterinsurgency in the name of Petraeus is no different in many respects from synthetic subprime inverse floaters. The fact that Portugal is selling bond in US dollars is a huge tell. Unless they have some very specific $ liability that they are funding - which is not apparent - a naked short on the dollar says something coming from one of the EUs most unwashed. The US used supercomputers to game the cold war, which itself was the source of cohesion to keep the coalition in-line. It truly was us vs. them - seemingly easier to game. Kissenger made his reputaion by leveraging something outside the system (China) to force change on the system. It took 2 decades but the resulting Soviet fall is not the least bit ironic considering Nixon closed the gold window. (then again maybe HK actions extended the game for a decade as a hyperpower/inflator). All is a longwinded way of saying that the US is gaming the current scenario as well and is activily trying to "shape its own battlefield" so to speak. The question is how? If the dollar is already commonly agreed to be the bad bank - load up the liabilities and blow it up - and if you belive the stories about US gold/lacjk thereof - what is the next scenario under such a system. Clealry the US/UK have the most to gain by perpetuating the system, but what could the US offer the Eu/China/others for a self mutilation of the dollar? This is interesting, yes? (from another). His native tongue might very well have been French. This is how the French pose questions; adding a "oui" or "non" to a sentence. French, so he could have been from at least Belgium, France or Switzerland. "a naked short on the dollar says something coming from one of the EUs most unwashed." Yes it does. But I just wanted to point out that it is not naked. They are borrowing the dollars to sell. It's just a short. "All is a longwinded way of saying that the US is gaming the current scenario as well and is activily trying to "shape its own battlefield" so to speak." Perhaps. Or perhaps those who have profited the most from the $IMFS are its truest believers. Perhaps they believe the system itself cannot collapse so the perpetrators can make any demands they see fit and exert any amount of pressure required to secure their objectives. They appear to be irrevocably committed to extracting the profits they are "entitled" to receive. I am not aware of any ecosystem that did not collapse when subjected to this type of stress. Nature does not reward this kind of behavior. "and if you belive the stories about US gold/lack thereof "
I can't say that I am convinced either way on the US gold issue. If the gold remains on US soil after Freegold it will probably remain US property. At that point with the dollar dead and gold at an ATH there will be an audit and all previous shenanigans will be declared illegal, null and void. Moving it physically right now is problematic for anyone not working in the daylight. If someone is working this angle I would say they do not have a sure thing, perhaps a long shot, but not a sure thing. Anyone who has the ability to physically abscond with Official US Gold and does so knowing that Freegold is coming, has a death wish. They will be hunted down when the time comes. So I don't think that has happened. Of course that is only my intuition. If US gold is being officially shipped to the BIS or other official entities under the cover of darkness, well then there will be hell to pay for some politicians and officials, but the gold is gone. Possession will be all that matters at that point. I doubt this is happening. Again intuition. Believe me that my intuition has nothing to do with a wish or hope that the US retains its gold. I simply believe that it probably does. At least most of it. By Occam's razor. Of course it may have leased, sold or swapped some claims on it, much of which will be settled in cash. But the US is such a resource-rich country that the USG will have plenty of natural resources to seize if it comes to that, including mines. I suspect the gold in West Point was reclassified in a show of good faith to those that own some international gold paper. I'm talking about people who's reasonably priced product you cannot live without. I doubt the gold has outright swaps written against it or was swapped into the enemy's camp (so to speak). While the ESF has the right to trade currency swaps against other's gold (and they do do this). Our gold has yet to be possessed by others. Just as in 1971, when many dollar holders thought US gold was "in custody" for them, so to does the current world dollar gold markets. However, this open certification shows just how tight the system has become. We have said for some time that the dollar faction has inflated paper gold and done so with very limited actual bullion of their own. We maintain that most of the leverage created in this arena has been done with the gold of private Western owners. Modern GoldBug owners that once held physical gold but now seek gold leverage and gold industry investment instead of gold wealth. That gold has now been leveraged for all its worth as it filled the use void. Today, we are reaching the mathematical end that that game can be played. Others know this and the West Point business is an attempt to counter this perception. Even if it was only a political move. We are getting close though (smile). There is no logic in that the Bundesbank would risk its gold. They were major supports of the Washington Agreement. Counter to perception, the entire EuroZone CB system awaits the day when they can convert failed paper gold borrowers into Euro borrows. As our paper gold market fails to function, shuts down and physical gold soars, there will be no bookkeeping market to offload these paper positions into. The conversion ratio into Euros will then be something to behold. Along with the demand for currency Euros and physical gold! The BIS /ECB is delighted that the dollar faction is lending all the "gold on paper" the dollar market can stand. Eventually, the US will walk right up to the gold window with the intentions of selling, only to fall away as they stair at a mountain of foreign CB dollars. """We watch this new gold market together, yes?""" And on the subject of Germany, someone sent me this: "A former German intelligence officer published a recent book saying it was terms of the armistice that Germany had to store its gold in NYC. I believe that the holdings may also contain the swaps that GATA caught the Fed talking about as in, “your gold is my gold and I want you to sell it and we’ll store our gold, now your gold, at the NY fed.” Of course, the other party would have to be pretty daft, but that is the lot of many central bankers." From the FOA post above: "The BIS /ECB is delighted that the dollar faction is lending all the "gold on paper" the dollar market can stand..."
Inquiring with my broker as to what initiated today's almost instantaneous $20 plunge in the price of Gold, he said that one of the Bullion Banks had reputably dumped 6000 sell orders onto the Comex!.. If correct, this is an enormous single sell order and difficult to see as for any other purpose than manipulation in order to lower prices!.. After all there is no way any seller could hope to maximize his price by selling in such a manner!.. I can't help but feel this is something to do with the fact that there's some 50,000 April call and put options due to expire a week today, within the $1,100-$1,150 strike range,.. With contracts equating to the equivalent of circa 160 tonnes of gold at stake, there is a serious interest from a major short or two in seeing the price down below $1,100!.. What a circus the Futures Market has become,..
Any individual stopped out or panicked to sell from today's orchestrated price plunge has been robbed in the same way as a woman mugged of her purse by a crack addict,.. The only difference is that when caught the crack addict must contemplate the error of his ways from a prison cell, whilst a banker does it from the confines of his New York Mansion!.." I read with this post with great interest, as I have traveled to Europe and in some ways lamented the demise of national currencies, which I viewed as symbols of national sovereignty. I see the Euro as a stable currency (stable by fiat standards) like you have suggested, but it also appears to be a means to an end by certain powers to bring Europe together politically (entice countries in with the promise of economic benefit, then functionally wrest control from their national parliaments via unelected bureaucrats). What Caesar, Charlemagne, Napoleon, and Hitler could not accomplish by force of arms, bureaucrats are doing with complicated treaties and agreements. Does this political angle come into your consideration when discussing the Euro? Keep in mind that when the USFed was founded, it too had no employment mandate and gold circulated relatively freely - anything you see today can be gone tomorrow. I write as an observer, not as an activist or a reformer. For the most part I focus on the way things actually are instead of the way I think they should be. I do have strong political feelings, but they are rarely presented on this blog because I don't find them practical in helping people protect their savings. In fact, they can sometimes be distracting. There are many possible monetary systems, more than most people even realize. A monetary system is really no more than a utility, a tool for the management of the real economy. All monetary systems can be abused in one way or another. But the separation of monetary roles between fiat and gold that I have been describing removes most of the susceptibility to abuse by rewarding good management, regardless if a system is national or regional. The reality of today includes the euro. And the euro is genuinely Freegold-friendly. It also has the best chance for survival and wider acceptance in my analysis. National currencies will also work well under a Freegold system because it will foster competition for stronger currencies rather than rewarding weakening currencies like the $IMFS does. If the euro can help take us there, I think it will be a fine accomplishment for a multinational, generational project. "Now the history of this is very significant... this is taken much more seriously by the Europeans. I mean you go all the way back to the Counter-Reformation in the late 16th century which was extremely bloody. And then the Thirty Years' War which was devastating. And then the Seven Years' War and the Napoleonic Wars, the Franco-Prussian War, World War One, World War Two... this is one catastrophe after another! And Europe literally destroyed itself and exhausted itself in fighting all these wars. And finally after WWII they said enough! We're going to pursue unification. It's the only way to keep from fighting each other." Yes, the Fed evolved, and so too the euro was designed for evolution... to Freegold. Between the World Wars the Fed discovered that it could increase the money supply by holding US Treasury debt in its reserves. This evolution ended the US surplus in 1930 and eliminated surpluses altogether by 1960. And the Fed fought against gold as its competition all the way through, most visibly in 1933 and 1971. Can you see the fundamental, foundational and architectural differences between the Fed and the ECB? Yes, the ECB will evolve too, but in the opposite way. I am with you loathing the idea of super-sovereign currencies. They are quite creepy to consider, like an Amero or a NWO One World Currency. But they are much less creepy once they sever the link to gold and the state like the euro did. And the euro is here now. I certainly don't support any One World Currency or Amero. But I don't think that is even an issue. International trust and confidence is too damaged at this point to ever make it work even if it is tried. You can force a currency on a nation through legal tender laws, but a super-sovereign currency must be joined voluntarily. I have said many times on this blog that I believe we will evolve into many national and a few regional currencies all competing for strength, not weakness. 1) Engineer a credible but a fake end to the gold bull market. Say, gold at 6000, Dow at 6000; Dow/Gold ratio at 1. Publish 100 years of Dow/Gold ratio chart and point at the previous bottoms of this ratio. Additionally compare the present runup 250 to 6000, 25X; with the runup of the 1970s; 40 to 950; 24X. 2) Ensure that gold mine supply does not change; or let it drop 10% just for illustration. With gold at 6000, the demand of ordinary people would contract by 6X. Buy the rest of the gold supply and start replenishing Fort Knox say at the rate of 1000 tons per year. 3) Engineer one or two decade(s) long bull market at equities. The cycle analysts would expect the next gold bull 30 years later: e.g. 1970, 2000, 2030. 4) Well before 2030, out of blue sky, revalue gold to freegold levels. Surprise! What if MOST of the people who matter, the Giants if you will, on ALL sides are, by now, in full agreement and co-operating in this project? Consider the possibility that the endgame is Trillionaires vs Billionaires. Who is likely to win that contest? I think you can make a strong case that the spoils are being divided up along very well defined lines. Look at the cast of characters involved in the looting and asset stripping of America and the UK. China has her cut of the take in many forms. The EU Giants have their (HUGE?) golden payday ahead of them. The A/FOA archive explains in fine detail what the Middle East and other oil producers stand to gain from the Euro Freegold project. Where is Russia in this? Brazil? South, Central and Latin America? The US allies who are MAJOR gold producers? You can delineate benefits to the majority of the PTB in these regions from the Euro Freegold project. So who is the US that will stand against the demise of the $IMFS? Who stands to lose? The Giants who made their money in the US? A/FOA tell us it is the ordinary citizens of the dollar bloc countries and those whose wealth is trapped in the $IMFS. To be brutally frank we are the people who DON'T matter. A/FOA, FOFOA and others have been sounding the alarm on these serious issues for years. I think the sub-text of their message is that there is NO US "super power" coming to the rescue of this dying system. The only US that can help to protect our small wealth is ..... us with physical gold. Here is a good story on debt. Do FOA and Trichet hold a different opinion? While FOA said: The Euro system is completely braced to accept a US self induced transition of world reserve status from the dollar into Euros. Off course there is a slight difference between "being braced to accpept" something and actively ensuing that that same thing. You answered your own question, Martijn. Congratulations! I'm not sure I understand what you are trying to say. One thing you don't do is buy gold outright, it would cause it to stop trading as a commodity and start trading as money! You learned that in the late 70s. I can understand the difference between commodity and monetary value, but what exactly happened in the late 70s that made "you" (an oil state) learn that? Was A trying to say that the 1980 spike in gold was caused by "oil" bidding for gold openly? Did you (or anyone else) happen to find more evidence of that? I feel that, retail gold demand measured in mass (kilogram) has declined - allowing big buyers to step the into the market. May be, US government is already buying/accumulating gold at these prices. During the 2008-09 crisis, even India became a net gold exporter for a quarter. Since the mine production is falling very gently, new buyers must have entered the market. US government may well be one of them. I hypothesize that, at a gold price of 6000 dollars per ounce, US government may buy gold at a rate of thousand tons per year, if the mine production does not change a lot. How do I arrive at that number? Let me assume that current retail gold demand is 2500 tons. With gold price increasing six fold, retail gold demand, as measured in mass, would drop to 400 tons (2500/6 ~ 400). The rest would be available for big buyers. Another attraction of 5000-6000 range is that, an analogy with 1970s would strongly suggest a bottom. During the 1970s, the gold price moved from 40 dollars per ounce to say 950 dollars per ounce - a twenty four fold increase (950/40 ~ 24). Analogously, if the gold price moves from 250 dollars per ounce (the bottom at 1999-2000) to 6000, this would also be measured as a twenty four fold increase (6000/250=24)- suggesting to small players like me that the gold move has been completed. I think a big part of the USD/USGovt "problem" is that the patriots (subjective term, but I think you get my meaning) inside the United States, including some giants and many "mini-giants", do not like the Fed-dollar system to begin with (consider Bunker Hunt's actions, for one example). So there is no one who will defend the USD on ideological grounds - it will only be defended for so long as it is profitable for the primary parties involved in its issuance. And as for the EU, most people in the member countries enjoy the benefits of the currency, but loath the political/legislative wing of the deal. So I think there is a non-economic political risk to an otherwise decent currency. Has anyone else read FA Hayek's "Choice in Currency; A Way to Stop Inflation"? FOA said: our paper gold markets will very much simulate the same manipulation of price gauges as the CPI. shorts may make a killing but the money they make will be worthless!!!!!! Do you believe that this is the reason why BB continue to short the papergold market? Did they understand A/FOA better than most indeed? I would not deem it unreasonable that "retail" demand for physical gold will drop for a while as prices rise. That might indeed free up some more for the big players. However, that might change once the new perspective really kicks in. COuld you elaborate on the comment about fractional etfs? "i know you have said before on your posts its very hard to say how much percentage of one's wealth should be in gold in their portfolio"
by fractional etf I simply meant that price of the underlying is irrelevant when you put it in a structured vehicle or fund vehicle (NAV basis). Most recent Sprott fund case and point. Gold could be a trillion/oz but issue a trillion shares and the NAV is a dollar and wholly accessible to everyone. Here's a very intriguing video that I think possibly could make such the transition to freegold quite interesting if implemented. I'm curious to know your take on it, esp when considering virtual currencies and freegold. fofoa, have you yet addressed how a transition from fiat to virtual might impact freegold for many? Greece is increasingly unlikely to be bailed by the EU, and the IMF looks more and more involved. If Euroland cannot solve member crises and outsiders can interfere and break the Euro, the EU has no future. 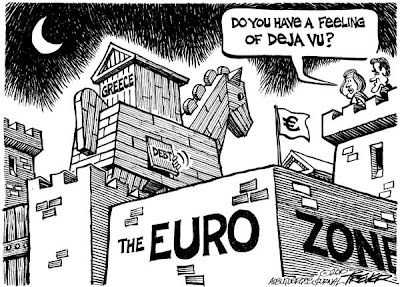 Everyone, including Rickards thinks Greece will be bailed from within. What if that doesn't happen? Then the only monetary choice is gold or USD; the oldest money or the de facto, wobbly, reserve currency. The ghost of Ayn Rand might have the last laugh. Another's native tongue might very well have been French. This is how the French pose questions; adding "oui" or "non" to a sentence. Another's style and flavor of writing reflected his background culture and human level of understanding wealth. based on these headlines, seems like the death of the dollar is coming. today's 2 year bond auction did not do too well either. bid to cover was much lower and indirect participation collapsed. Guess those Chinese aren't recycling those dollars and all that money printing over the last year is finally starting to get their middle class to consume products instead. when will they US surprise us with a devaluation? ZH even has a report saying that by October 2010 at this rate we will have hit the debt ceiling again at 14.3T. the trend here is when you think debt, think dollars. every other major currency doesn't seem to be participating as much on devaluations talks as they use too. the cool thing last year was who can win the race to the bottom. now interest rates are rising (Australia, India etc..) and others are talking about raising rates soon (ie Canada). China is going to revalue the Yaun soon i would think. There are only two threats to the world fiat currency system at present. The oil states could stop buying US$ for oil and drop all paper gold for real bullion. Or, the masses could buy up all the physical supplies thereby breaking the OIL/GOLD/US$ bond. BERLIN/ATHENS (Reuters) - Germany signaled for the first time on Tuesday that it may accept European financial aid for Greece as a last resort, but only if the IMF is involved and euro zone partners accept tougher budget discipline rules. * European Union states would have to agree to negotiate "additional instruments" to enforce budget discipline, beyond existing rules that failed to prevent Athens running up huge debts and deficits that have shaken the euro zone. And now, it's time to kill the dollar. Yet more countries are anticipating the Fed finally killing the dollar sooner or later, as Spain now joins Portugal in issuing dollar-denominated bonds. If Europe's most insolvent countries (granted, Greece has yet to issue $-denominated debt, although we are confident that will happen shortly as well) are getting on board of the asset side of the Fed's balance sheet, it can only mean one thing: the InTrade odds for the winner of the currency race to the bottom are squarely in favor of the US currency. Earlier, the Spanish director of Treasury and financial policy Soledad Nunez, told reporters that Spain may issue a dollar bond via syndication. In a page right out of Greenspan's dictionary Soledad said: ""Usually we syndicate in dollars, and we have not made one yet this year, and we may do so, maybe yes, maybe no. That is the answer." She added in Alan-speak: "Doing a dollar syndication is always in our strategy, it is always depending on market conditions." Translation: we bet that, at the end of the day, Ben Bernanke will be far more successful in killing his own currency, than those bumbling buffoons over in Luxembourg. I don't know what possible difference it makes, but for what it's worth FOA said Another is English.